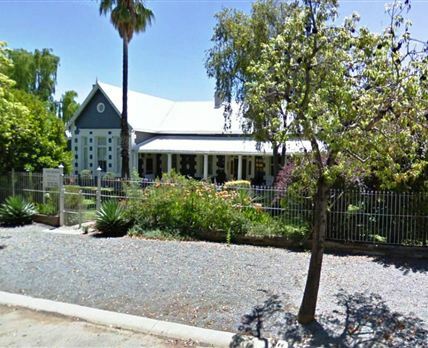 Oude Pastorie Gastehuis is undoubtedly one of Cradock’s most gracious homesteads, the unique appeal of this historical house is its genuine old-world charm and comfortable atmosphere in a peaceful environment. Our four well-furnished rooms welcome guests by combining elements of privacy and space. Each bedroom has an en-suite bathroom, a TV, a fully equipped kitchenette, a seating area leading to the garden, and a secure parking area. Our charming country-style guest house provides a haven of peace and tranquility. The lush gardens, abundant bird life and our hospitality make for a memorable stay at Oude Pastorie. The Braai-kaia has a fully equipped kitchen and an under-cover entertainment area, an ideal spot for sundowners and barbecues. Click here to enquire at Oude Pastorie Gastehuis.